Eclipses are more pronounced where they can be seen. 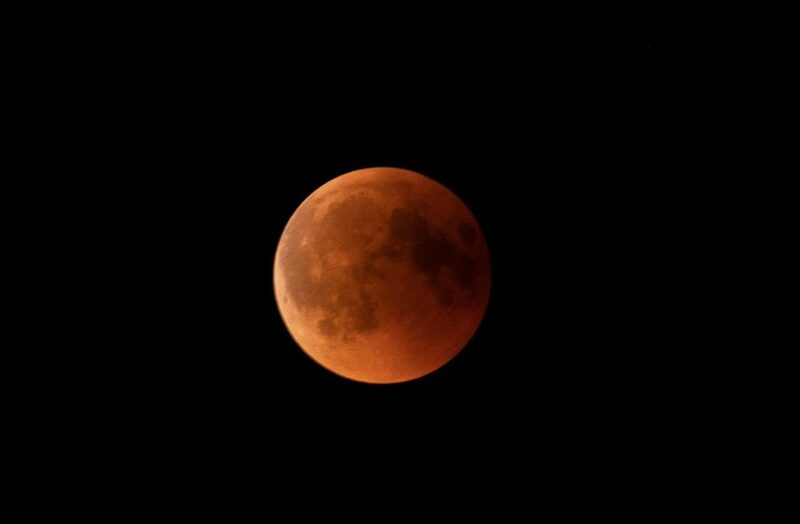 For these coming lunar eclipses—as lunar eclipses usually come in threes—it will be most visible in constellation Cancer, which will dominate North, South America; the United Kingdom and Norway. However, this year there will be three solar eclipses and two lunar eclipses. There was a partial solar eclipse on January 5th and 6th of this year. Then, after this, we have the full lunar eclipse as discussed. Then there will be a total solar eclipse on July 1st or 2nd, 2019 (depending where on Earth one resides); a partial lunar eclipse on July 15th or 16th, 2019, and before the year is over, on December 25th or 26th, we will experience an annular solar eclipse. On January 20th, 2019, in the Eastern part of the world such as India, there will be a full lunar eclipse, and it will be located in the middle of the Pushya Nakshatra. So, in effect, this will negate the auspicious qualities of this Pushya, which is concerned with nourishment. So, for example, there will be food shortages, especially where this lunar eclipse can be most visibly seen. It is also related to Dharma due to Brihaspati, the guru of all the gods, ruler of truth and Dharma. So, there will also be the effect of untruths and a degeneration of the understanding of reality. Some claim it will be beneficial and will bring in a new era of education. Whatever the case may be, be sure to see how it will affect you personally. In Western Astrology, however, the lunar nodes are referred to Caput Draconis and Cauda Draconis, respectively the “Dragon’s Head” and the “Dragon’s Tail.” In Western Astrology, it is viewed through the sign and decante of the tropical zodiac. The elements will be considered, for example, a lunar eclipse in the element of Earth will affect food, sustenance, stability and things of that nature. The head will create a surge of force and the tail a vacuum in whatever area it is found. If it connects with a personal planet, it will have either a positive or negative effect, giving the nature of the sign, decante and planet. Also, it will have both a powerful and negative effect in each opposing sign it falls within. Because the lunar eclipse is occurring in Pushya, it too will influence the signs Leo and Aquarius. At the same time, the planet Uranus will be forming an inharmonious aspect by squaring the nodes. When a planet is positioned so, it is referred to as being at the bendings. This suggests radical and sudden change regarding the previous areas of life. So, if you have any planets or special points in those areas, make sure you take special note and plan accordingly. This will be a powerful total lunar eclipse because it will be perigee, closer to Earth than it usually is, so the Moon will look enormous. Here, with the Sun at the very beginning of the sign Leo and the Moon at the very beginning of Aquarius, it will strongly influence groups, the public, science, people in positions of power, politics and human rights. Also, it will affect rulers, idols, people in positions regarding entertainment, children, gambling, going on vacations. Expect leaders to rise and fall and for there to be a powerful effect on the economy. This may bring something to a conclusion or end. You will also be more emotionally sensitive so take the necessary precautions. Moreover, for every second the eclipse lasts, it is said that is how many months you will feel the effects. Some people do not experience anything significant while others’ experiences are profound. So be sure to consult your astrologer. An annular solar eclipse occurs when the Moon covers the Sun’s center, leaving the outer edges of the Sun to form a ring of fire. This Article was written by our professional astrologer, Christopherr Funk. He earned a degree in astrology from Kepler College and is published in the “International Society for Astrological Research” (ISAR). He is a Western Astrologer, having studied Hellenistic Astrology all the way to Uranian Astrology. He can do natal interpretations, horary readings (answer any questions from relationships to lost items) and Relationship Compatibility. He can also move the chart forward in time to make accurate predictions using various techniques as well as move the chart backward in time and see past events.